Ferrara is the best base city for a week in Italy. Many people know about Florence, Rome and Venice. Fewer people have heard about Ferrara, this unique half-medieval half-renaissance city in northern Italy. Why spend time in Ferrara? There are many reasons. Its impressive history: Ferrara is one of the most historical places in Italy, with some of the greatest examples of architecture in the world. No wonder the city was chosen by UNESCO as one of its world heritage sites. 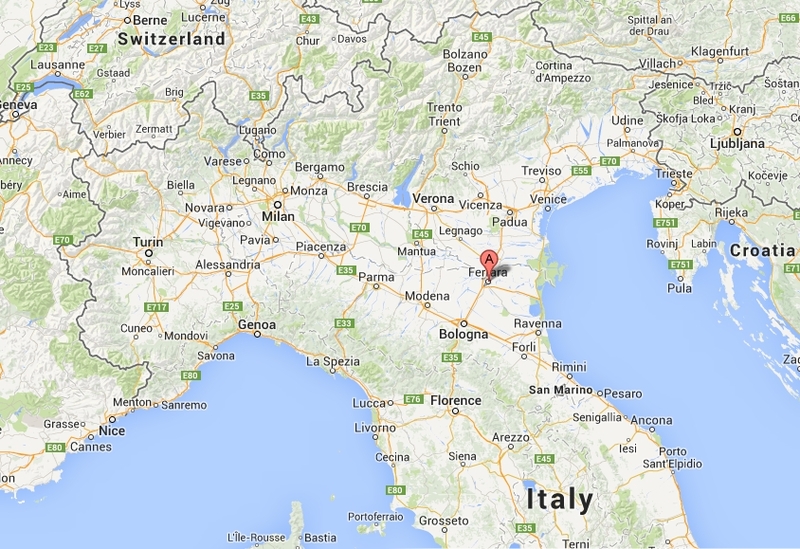 Its strategic location: Ferrara is on the railway line that goes from Naples all the way up to Venice. If you want to see Rome, Naples, Florence, Bologna, Venice, or just some of these cities, yes, they are all on the same railway line, and Ferrara is right there, in the middle between Venice and Florence. Do you really want to do what everybody else does, choose Florence as your base city? As you can see, Ferrara is the perfect location for a week in Italy. Enjoy Ferrara: Italy at its best! Here are the flyers! Pronte le locandine!